TouVelle House #1 | Historic Jacksonville, Inc.
Jacksonville, Oregon’s Judge Frank TouVelle House, located at 455 North Oregon Street, is considered one of the best examples of Craftsman style homes in the Rogue Valley. 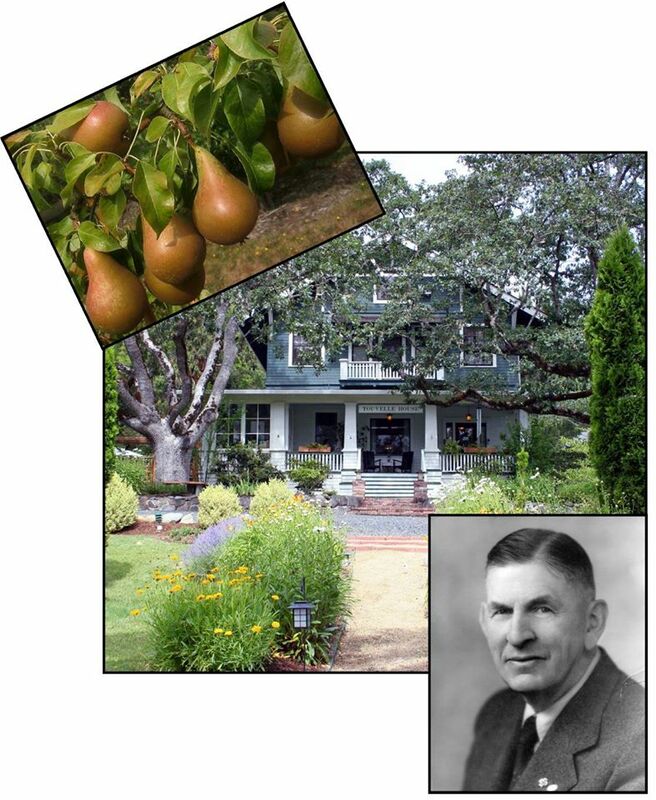 TouVelle came to the Valley in 1903 as part of the “Orchard Boom.” He built this house in 1916 as a wedding present for his wife Elizabeth and based it on her designs. After Elizabeth’s death in 1931, TouVelle turned it into a home for needy boys, giving them housing, schooling, and guidance. Today it serves the community as a B&B.